Can ARM truly challenge Intel in performance? History says no, but who doesn't appreciate aggressive competition? With PC makers like Asus and HP beginning to design laptops and tablets around ARM chips, ARM itself has decided to emerge from the shadows and unroll its roadmap to challenge Intel through at least 2020. ARM’s now-public roadmap represents its first processors that are designed for the PC space. ARM, taking aim at the dominant player, claims its chips will equal and potentially even surpass Intel's in single-threaded performance. 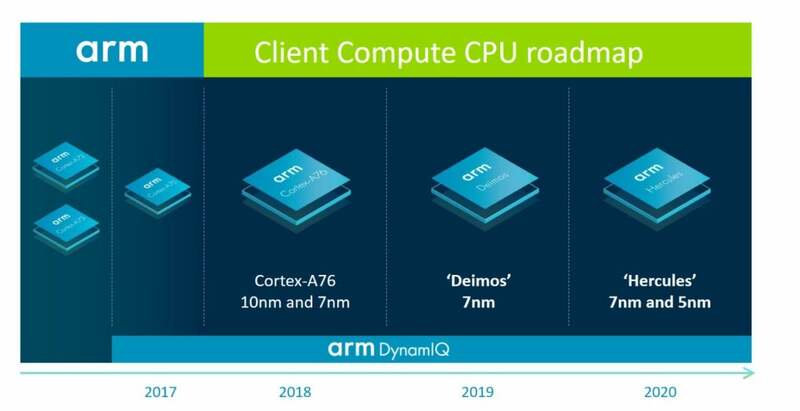 ARM is unveiling two new chip architectures: Deimos, a 7nm architecture to debut in 2019, and Hercules, a 5nm design for 2020. There's a catch, of course: Many Windows apps aren’t natively written for the ARM instruction set, forcing them to pay a performance penalty via emulation. Comparing itself to Intel is a brightly-colored signpost that ARM remains committed to the PC market, however. 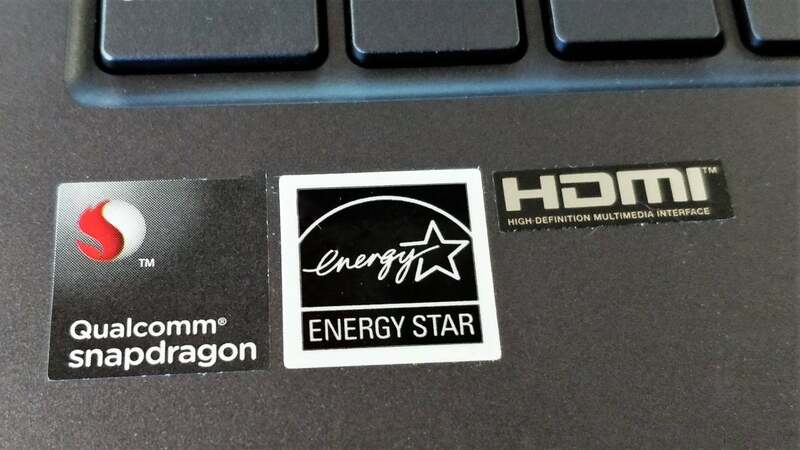 What this means for you: ARM-powered PCs like the Asus NovaGo offer game-changing battery life—but the performance suffers, for two reasons: One, because the computing power of ARM’s cores has lagged behind those of the Intel Core family; and two, because any apps that the ARM chip can’t process natively have to be emulated. ARM can’t do much about Microsoft’s development path, but it can increase its own performance. Finally, if you were concerned that ARM PCs will be a flash in the pan, the answer is no, apparently not. 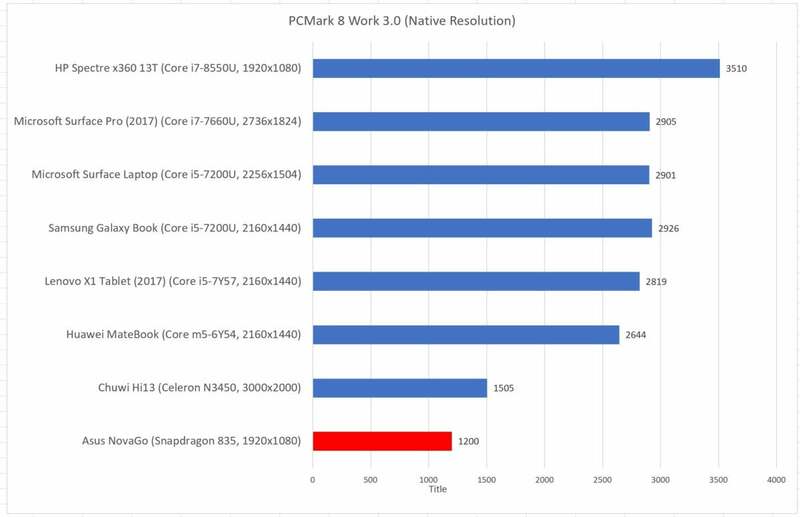 Where ARM is starting from: this PCMark Work score from our Asus NovaGo review (powered by an ARM chip) put the NovaGo at the bottom of the barrell in terms of performance. ARM, whose chips already dominate the smartphone space, doesn’t supply chips directly. The company is what’s known as an intellectual property (IP) provider, and a “soft” one at that—it designs and licenses chips to companies like Qualcomm and Samsung, who are then free to modify and eventually manufacture them for smartphones and PCs. That practice will continue, according to Ian Smythe, responsible for ecosystem marketing for the client businesses for ARM. This structure can make who-supplies-what a bit confusing. What you need to know is that ARM continues to roll out new designs on essentially an annual basis. Qualcomm—which is, for now, the exclusive supplier of ARM-based chips for PCs—follows suit with its own modified Snapdragon chips, though a bit later. PC vendors then have to take those chips and roll them into PCs, which takes yet more time. ARM's roadmap paints an aggressive comparison between single-threaded performance between its own chips and Intel's Core architecture. The Asus NovaGo incorporated the Snapdragon 835, a 2017 Qualcomm chip whose Kryo 280 compute engines were based on 2016’s ARM Cortex-A73 core. Qualcomm then promised that the Snapdragon 845, a 2017 core based on ARM’s 2017 10nm Cortex-A75 architecture, would follow. But the 845 sort of vanished, replaced by the Snapdragon 850 at this year’s Computex show as Qualcomm’s official PC processor in waiting. Both the Snapdragon 850 and 845 used the same A75 ARM architecture, but at different clock speeds. In the meantime, ARM announced its next chip, the Cortex-A76, this past May, promising a 35-percent performance improvement. (Qualcomm has yet to announce a Snapdragon based upon the A76 architecture.) Smythe also said that ARM's partners will indeed manufacture A76 chips on 7nm processes this year, maintaining a steady pace of manufacturing improvements, while Intel has seemingly stalled. Could ARM's partners be the next Intel Inside? What this all boils down to is that the Asus NovaGo, criticized for its poor performance, is based on a two-year-old ARM architecture that’s steadily improving. ARM’s Smythe declined to comment on whether existing customers like Asus and HP would continue buying ARM chips. “But they are hopefully excited by the performance and power values that we’ve described today based on our A76 and beyond,” he added. Can ARM actually lead in compute performance? 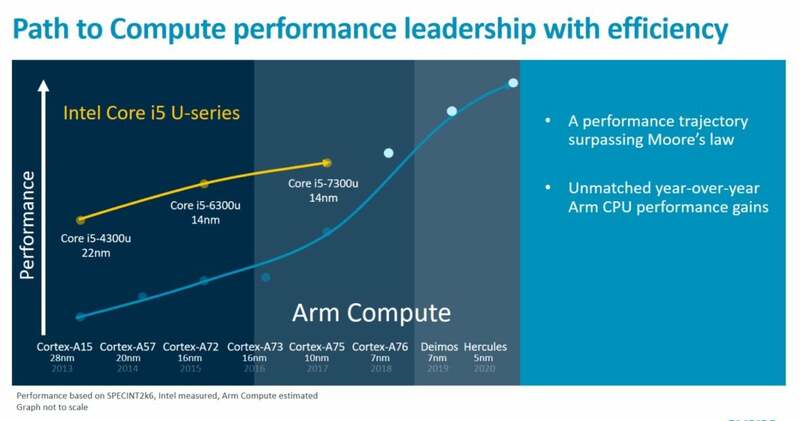 According to ARM’s roadmap, the A76 (expected to run at about 3GHz) represents a sharp jump in performance. Smythe said that ARM ran SPECINT2006, a single-threaded benchmark, and compared the scores through the Core i5-7300U to its own performance estimates. 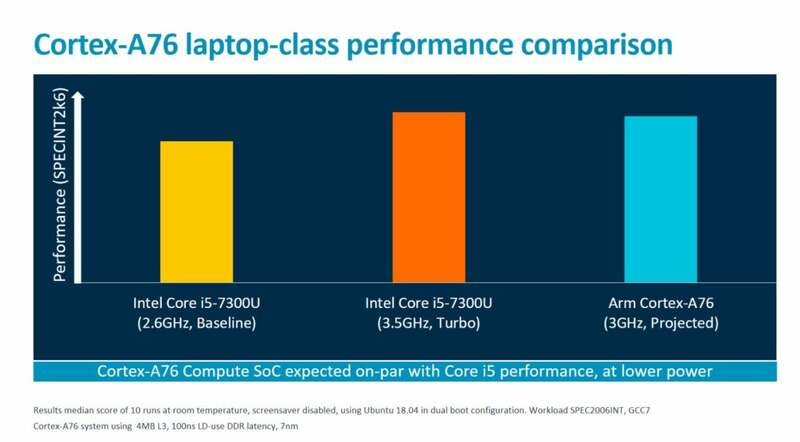 Granted, it’s only a single benchmark, measuring single-threaded performance up through Intel’s seventh-generation Kaby Lake chip. (Intel is currently shipping Kaby Lake-R chips, and will move on to Whiskey Lake by the end of the year.) And it excludes the Core’s turbo mode, Smythe added. Single-threaded performance remains a poplar metric, if only because programmers haven't done a good job of taking advantage of the parallelism inherent inside chip architectures like Core and ARM. It's here that ARM has traditionally lagged far behind. For example, Anandtech published a 2016 comparison of Cavium’s ARM-based server chip with a comparable Intel Xeon chip—well before ARM was considered a PC processor. Then, ARM processors generated 25 percent or so of a Xeon’s performance. Parity—or even above—would be an impressive leap. “If we look at projected performance for 3GHz A76, it sits right over at the high end of the performance range of the Core i5,” Smythe said. Comparing the A76 to an older Intel chip isn't fair, though it's a starting point. It also discounts ARM’s inherent power advantage. ARM builds its processors in what it calls a “big.LITTLE” configuration, pairing 8 or so A76 compute engines with power-optimized A55 CPUs to take over in idle mode. That helps the A76 consume under 5 watts, while the Intel Core i5-7300U consumes about 15 watts, trimming battery life. Correction: The Kryo 280 was based upon the 2016 ARM Cortex-A73 core, not the A72.